South Florida’s biggest institutional venture deal in technology was snagged by an innovative Plantation-based company – but this time it wasn’t Magic Leap. CarePredict, which uses AI-driven technologies to advance senior care, led the South Florida region in institutional venture capital in the first quarter with its previously reported $9.5 million funding raise, according to a venture report released today. The financing was led by Miami’s Secocha Ventures, Las Olas Venture Capital in Fort Lauderdale, and Startup Health Ventures. 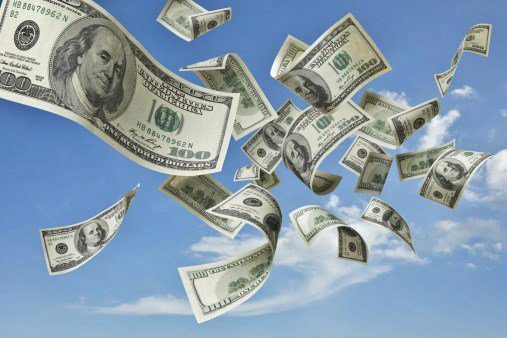 South Florida companies raised $17 million in the first quarter, down from $25 million raised in Q1 of 2018, according to Moneytree’s report by PricewaterhouseCoopers and CB Insights. Statewide, $107 million went into Florida startups across 20 deals, led by a $30 million raise by Finxact of Jacksonville. MoneyTree Report results will be available on www.pwcmoneytree.com. Other South Florida companies raising money in Q1 included: Kairos, the Miami-based facial recognition startup, $4 million; Streann Media of Miami, $1,88 million; Sonavation, $1.08 million; Open English, $700,000 and DentiDesk, $200,000. Pitchbook, together with NVCA, also released its quarterly report, called Venture Monitor, on Tuesday. Pitchbook doesn’t confine itself to institutional rounds; the data company also includes angel funding and does not include interim closings if the full round has not closed. In Pitchbook’s report, South Florida companies raised $81 million, including a $48 million convertible note reportedly raised by GreenLane, a Boca Raton internet retailer in the cannabis space, and a $17.5 million raise by OrthoSensor, the medical device maker in Sunrise. Statewide, according to Pitchbook, Florida companies raises $215.25 million across 46 deals. Find the Venture Monitor report here. Nationally, according to MoneyTree, after 2018 saw the highest annual funding level since 2000, quarterly funding fell 36% in the first quarter. U.S. venture capital-backed companies raised $25B across 1,279 transactions. According to Pitchbook’s methodology, investors deployed $32.6 billion in VC funding across 1,853 deals nationwide, a 10.5% increase in volume and a 22.5% decrease in count compared to 1Q 2018. Pitchbook’s report includes a new section on venture investment in US-female founded companies, which will be continued in future reports. In Q1, investors put $700 million into 101 female-founded companies, the majority of those being late-stage deals, according to the data. That was 2.2% of total VC funding.